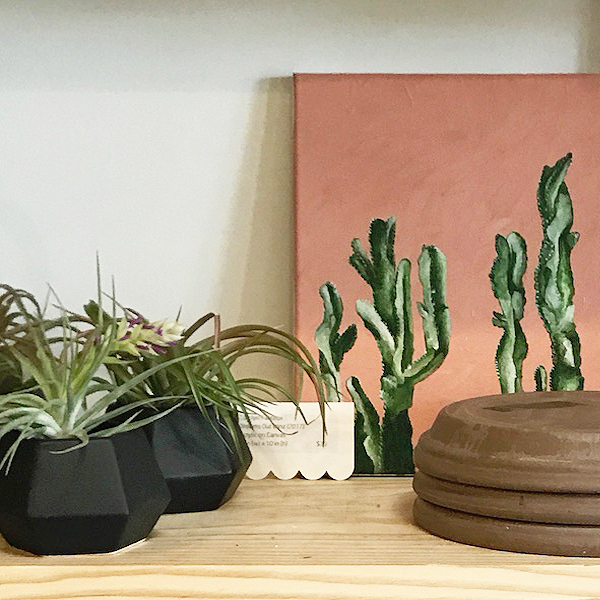 The FLORA plant shop in East Nashville is always stocked with an amazing inventory + is a picture perfect space for any plant lover. When I approached owners, Kate + Kirby, about having an art show in their store, they were enthusiastic about the idea, and extremely supportive when it came to giving me the opening I had hoped for. My goal was to provide a different kind of art show. I envisioned an inviting, casual setting without the usual stark, white walls of most galleries. 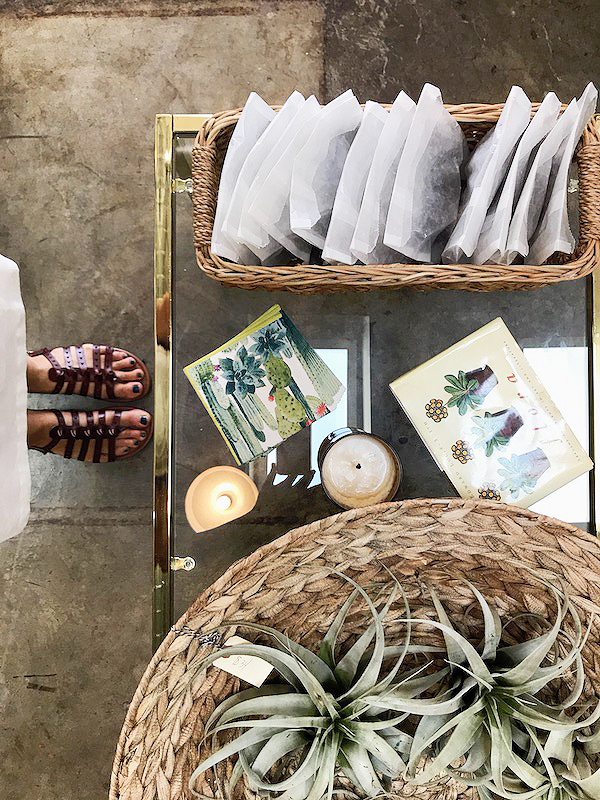 With paintings displayed throughout the store, some on easels and others propped up on benches and tables among the plants, the work sat in harmony among the leaves and gave the show a very warm + welcoming feel. The afternoon was everything I could have hoped for. Friends + neighbors popped in to walk through the space, talk with one another, sip some wine and discuss my new works with me. I loved getting everyone's feedback and personal interpretations.